No! I'm not a fanatic! The Beach Boys were largely a family affair that came together in the Los Angeles suburb of Hawthorne, California, in 1961. Three brothers - Brian, Carl and Dennis Wilson - were joined by their cousin, Mike Love, and a friend, Alan Jardine (who was replaced for a time by David Marks, before rejoining). Brian Wilson, who demonstrated an aptitude for music at an early age, was the group's leader, orchestrating their harmonies, writing the music, producing the recording sessions. One of the few undisputed geniuses in popular music, Brian possessed an uncanny gift for harmonic invention and complex vocal and instrumental arrangements. Initially, the magnitude of that genius was overlooked owing to the subject matter of the band's early hits - surfing, hot rods, girls - but even the lyrics are celebrated today for their deft use of technical lingo, on the one hand, and youthful naivete, on the other. The Beach Boys' earliest hits - "Surfin'," "Surfin' Safari," "Surfin' U.S.A.," and "Surfer Girl," all released in 1962-63 - helped raise the profile of the state of California and the sport of surfing. The group also celebrated the Golden State's obsession with hot-rod racing ("Shut Down," "409," "Little Deuce Coupe") and the pursuit of happiness by carefree high-schoolers in less complicated times ("Be True to Your School," "Fun, Fun, Fun," "I Get Around"). Those days were forever mythologized in George Lucas's 1973 film American Graffiti, but it was the Beach Boys who documented the era in song as it happened. The Beach Boys' first golden era lasted from 1962-65, when they charted 16 hit singles in a very competitive Top Forty. The Beach Boys' increasingly sophisticated harmonies and arrangements around this time owed to the fact that Brian quit touring with the band in December 1964 inorder to work full-time on their recordings back home in California. His maturation resulted in such harmony-filled pop opuses as "Help Me, Rhonda" and "California Girls," as well as the increasingly adventurous tracks to be found on such albums as 1965's The Beach Boys Today! While the Beach Boys were off touring behind their growing treasure chest of hit singles, Brian began work in January 1966 on Pet Sounds. He labored over it nonstop for four months, enlisting a veritable orchestra of session musicians to help him chase the "pet sounds" he heard in his head. At the end, the Beach Boys returned to add their bouquet of voices to the finished instrumental tracks. Now recognized as an innovative classic, Pet Sounds sold disappointingly as an album, though it yielded a bounty of singles, including "Wouldn't It Be Nice," "God Only Knows" and "Sloop John B." Brian pressed on to his next project, "Good Vibrations," a "pocket symphony" (as Wilson described it) that packed an album's worth of ideas and production tricks into one song. "Good Vibrations" returned the Beach Boys to the top of the charts and added a new phrase to the pop-culture vocabulary. Thereafter, Brian threw himself into an even more ambitious album project, Smile, that wound up collapsing under the weight of Wilson's fragile psyche and increasingly erratic behavior, at least in part triggered by his experimentation with drugs. Smile was never finished; in its place came a diluted facsimile, Smiley Smile. The Beach Boys rebounded by bonding into a more closely knit, democratic unit and recording a series of charmingly low-key albums, including Friends and Wild Honey. In 1970 they moved from Capitol to Reprise Records and released one of their strongest group efforts, Sunflower, which spotlighted the individual talents of all three Wilson brothers (especially the suddenly prolific Dennis). During the Seventies, the Beach Boys became an in-demand touring act whose popularity soared as the rock audience rediscovered all the old hits, which had come and gone so quickly in the previous decade. Capitol Records' release of Endless Summer, a double-LP greatest-hits collection, surprisingly streaked to the top of the album charts, and the Beach Boys were suddenly hot all over again. Touted as "America's band," they also benefited from all the media attention surrounding the rescue and recovery of their erstwhile leader Brian from a series of lost years spent in druggy, bed-ridden exile. With the "Brian's back" publicity campaign of 1976 came 15 Big Ones, their first new album in three and a half years, and a renascent creative momentum. It was followed in 1977 by The Beach Boys Love You, which displayed more of Brian's involvement than any album since Pet Sounds and remains a cult favorite among Beach Boys aficionados. 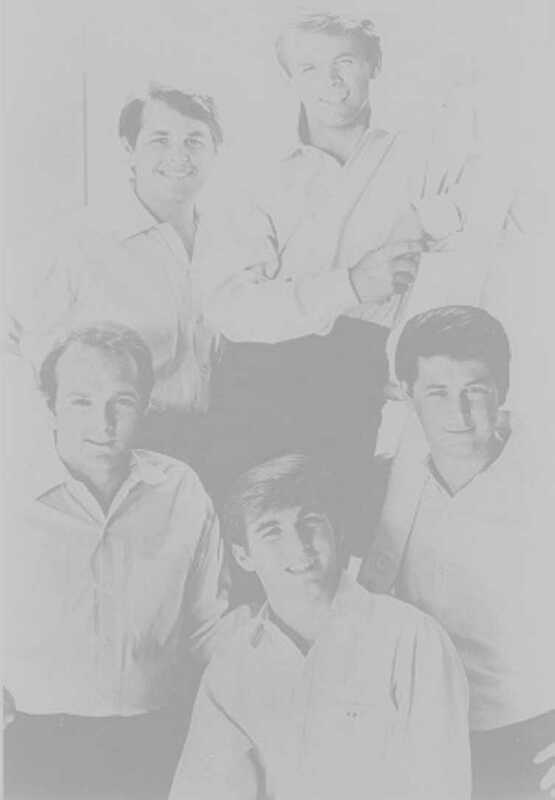 Subsequently, the band has intermittently released new albums and toured like clockwork every summer while making headlines for various extracurricular mishaps: the accidental drowning death of Dennis Wilson in 1983; the legal battles over Brian's conservatorship between elements in the Beach Boys' camp and his control-oriented (and since-deposed) psychologist, Eugene Landy; and Mike Love's lawsuit against Brian, wherein he claimed to have co-authored certain Beach Boys songs credited to Brian alone. Burdened by these and myriad other subplots, the Beach Boys at time seemed to be rock and roll's longest- running soap opera. At the same time, they've been responsible for some of the most perfect harmonies and gorgeous melodies in rock and roll history, and it is for this vast accumulation of timeless music for which they will ultimately be remembered and celebrated. You need Windows Media Player.